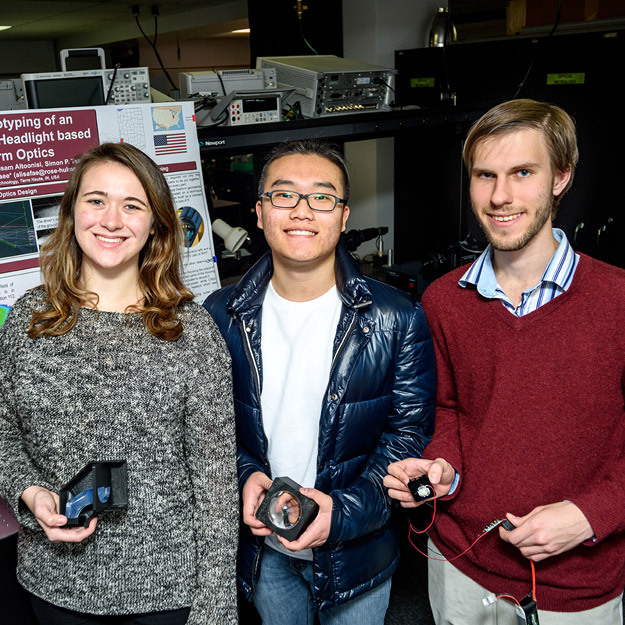 Our Physics & Optical Engineering program is at the leading edge of photonics and is THE place for students interested in light-based technologies such as fiber optics, spy satellite technology, optical computing, and silicon photonics. We offered the nation's first Optical Engineering degree, meaning we were training optical engineers before anyone knew we needed them! 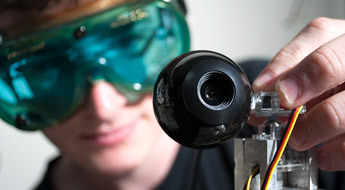 As a major in physics, engineering physics or optical engineering, you'll work in our state-of-the-art MiNDS lab starting Year One. 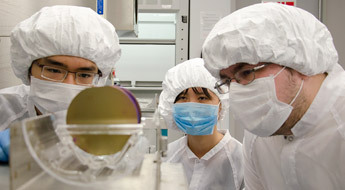 You'll also get hands-on experience in a variety of specialized fields, including laser systems, fiber optics, spy satellite technology, acoustics, quantum, and optical computing. 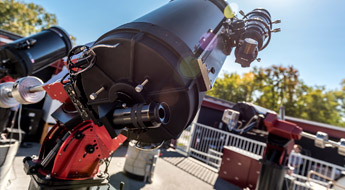 You'll also have access to our Oakley Observatory -- one of the finest undergrad observatories in the country. 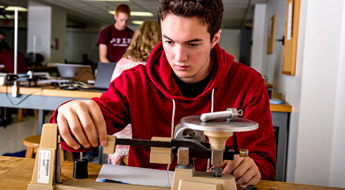 Learn about the latest happenings, student research and more in physics & optical engineering at Rose-Hulman. Need to refresh your physics memory? Or did your high school drop the ball on physics? Either way, it’s Physics 090 to the rescue! This highly flexible, online, 11-week summer course will allow you to work at your own pace as you stretch your stiff physics muscles and get you into tip-top shape before your freshman year! Student focused! 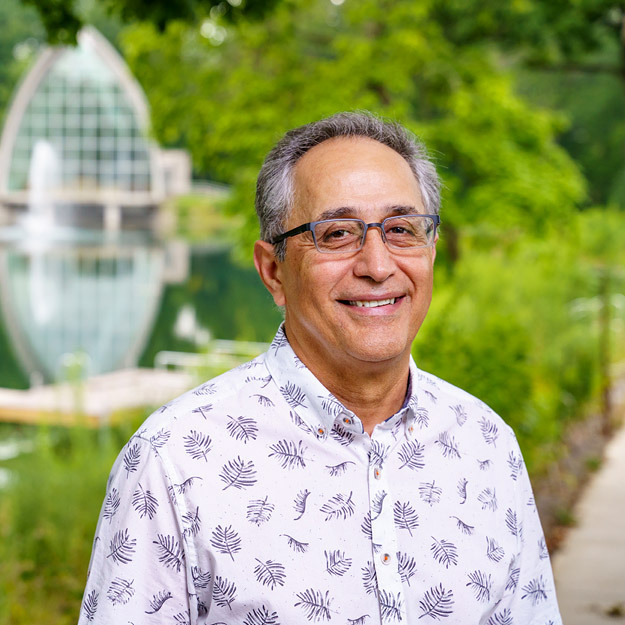 Like all courses at Rose-Hulman, your professor is there for you! Convenient and flexible! We think you’ll need between 10 and 15 hours per week. 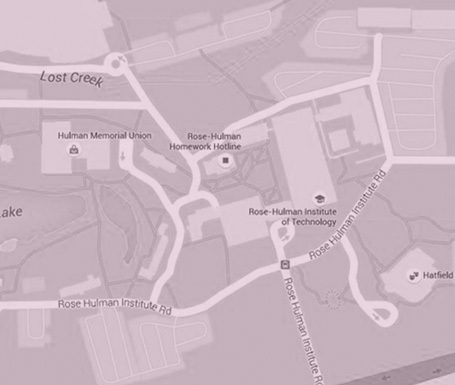 A great way to transition to college and get to know the Rose-Hulman culture. Class runs from May 30 - August 16 with a well-earned summer break July 4-12. 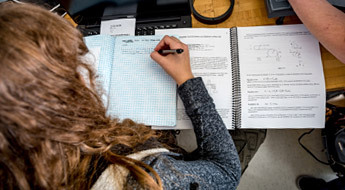 Topics we’ll cover include units, significant figures, vectors, 1 and 2 dimensional motion, kinematic equations, objects in free fall, motion in a circle, Newton’s laws, torques, angular momentum and more. Physics 090 will sharpen your physics knowledge using algebra, not calculus, so you can focus on the fundamental concepts of physics. 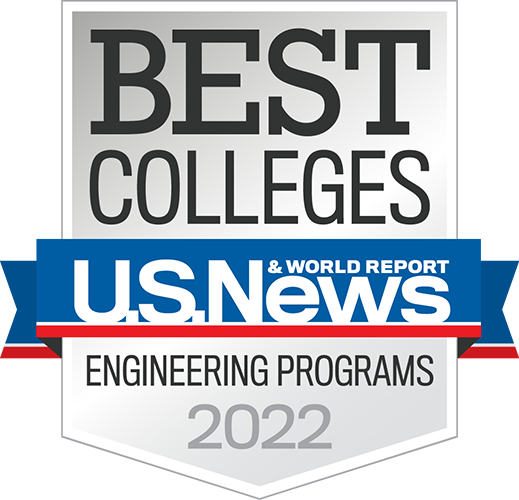 The course is designed as a college prep course for physics--it does not count toward your Rose-Hulman GPA or earn academic credits. Cost is $1634--a 50% discount on regular summer tuition rates. (Early cancelation fee is $150.) If you’re ready to tone up your physics muscles this summer, register now! Note: If you’re going to be overseas during the course, please check with Professor Kosta Popovic before registering so we’re sure you’ll have the internet access you’ll need. 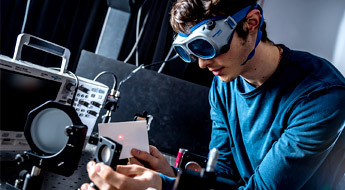 We offer undergraduate majors, minors, and certificates in physics, engineering physics and optical engineering, as well as a graduate program in optical engineering. The physics curriculum is designed to develop a strong foundation in classical and modern physics, which will serve as a basis for future specialization, for additional study at the graduate level, and for design and development work in industrial laboratories. 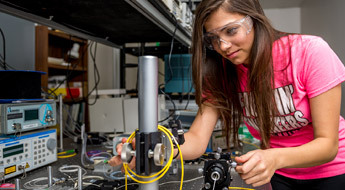 Engineering physics at Rose-Hulman provides students with a unique opportunity to learn the foundation concepts of physics and make a concentrated study in micro- and nano-technology. 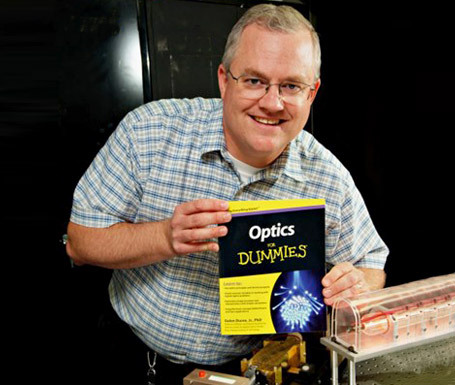 We are one of the few colleges in the country to offer an optical engineering program, and were the first college to have an accredited program (ABET) in optical engineering. 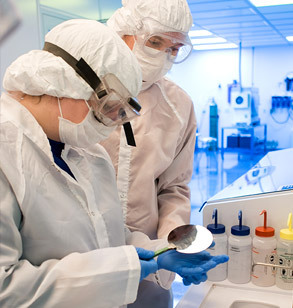 Our program provides a firm foundation for those interested in continuing their studies in optics at the graduate level, as well as for those going into industry. You can tailor your educational experience by adding a minor or certificate in specific areas of interest. We believe the best way to learn is by doing, so we place emphasis on lab work with a hands-on approach. Our teaching, research, and MiNDs laboratories, and observatory, are stocked with modern equipment. 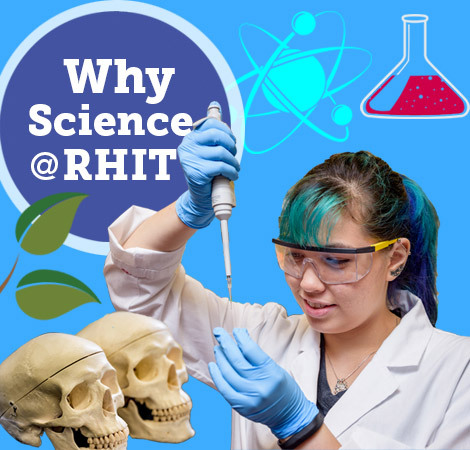 Here, you’ll have the opportunity for hands-on undergraduate research experiences that most schools reserve for graduate students. 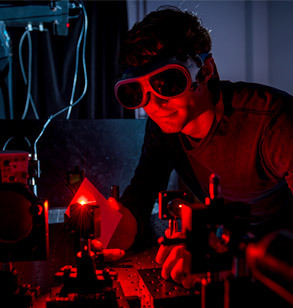 Our photonics, fiber, acoustics, and semiconductor magneto-optics laboratories are equipped with leading edge technology for undergraduate and graduate research projects. Our state-of-the-art introductory physics laboratories have modern equipment to help you master the concepts you learn in the classroom. 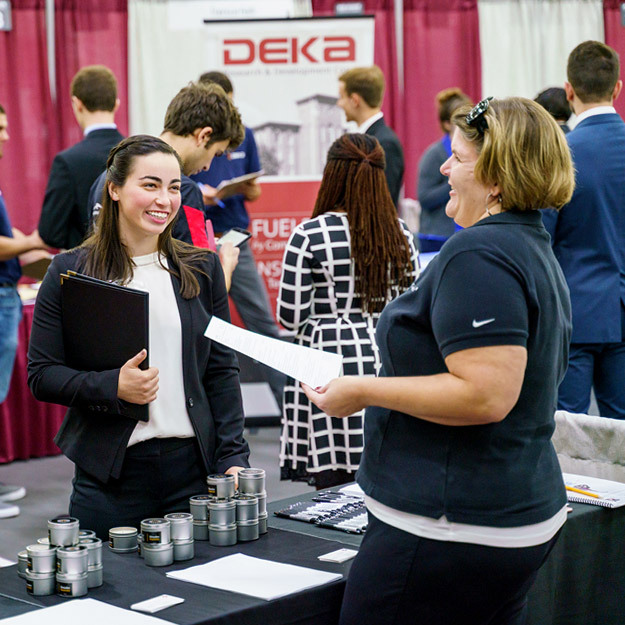 A degree in physics, engineering physics or optical engineering will give you the foundation for acareer with companies on the leading edge of technological advances, or to pursue graduate studies.